Dubai: Arabtec Holding reported on Wednesday its net profit more than doubled in 2018 to reach Dh256 million as revenues rose. Net profit in the fourth quarter of the year stood at Dh74 million, a 64 per cent jump over the same period in 2017. 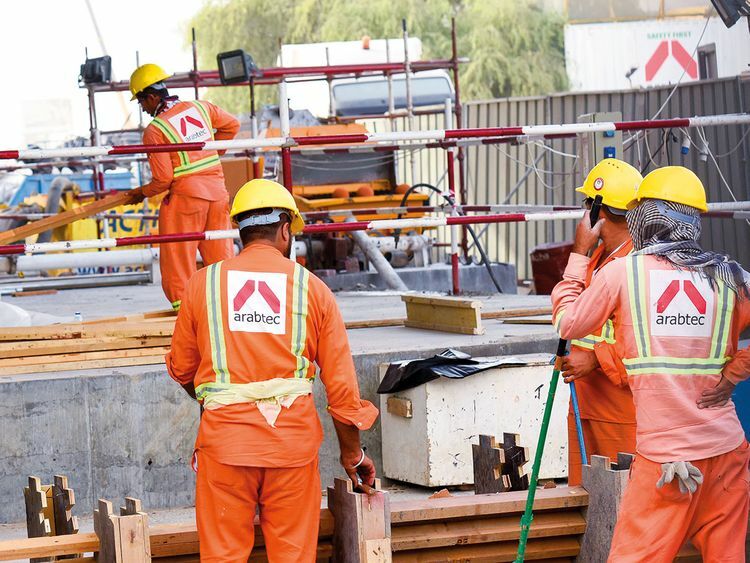 The figures mark a second consecutive year of profitability for the Dubai-listed construction company. The company had earlier experienced nearly two years of mounting losses, which topped Dh3 billion, before restructuring. Revenues, meanwhile, increased by 7.8 per cent year-on-year in 2018 to reach Dh9.85 billion. Revenues for the fourth quarter alone were Dh2.7 billion, dropping by 3.4 per cent year-on-year. The board of directors proposed a cash dividend of 5 fils a share for 2018, amounting to a total of Dh75 million. Arabtec’s share prices inched up 0.49 per cent on Wednesday to Dh2.04. Arabtec said it has been able to maintain profitability over the past eight quarters through positive cash from operating activities and a reduction in net debt. Cash from operating activities reached Dh996 million at the end of 2018, compared to a loss of Dh1.25 billion from the operational side in 2017. Net debt dropped to Dh787 million in the fourth quarter of 2018 from Dh1.49 billion a year earlier. Hamish Tyrwhitt, group chief executive officer of Arabtec, said the company’s objective in 2018 was to rebase the business by strengthening its balance sheet and focusing on productivity. “Growth in the UAE construction market is driven by a number of factors including rising oil prices, a growing economy, and Expo 2020,” the company said, adding that it also sees “huge potential” in Egypt. As per Arabtec’s strategy for 2019, the contractor will be working to see “consistent growth in net profit and improved cash flow generation,” and will work to improve project margins. It also plans to continue taking a “selective approach to new work, particularly in the building sector,” as well as strengthen its footprint in the UAE, Saudi Arabia, Egypt, Bahrain, and Kuwait to diversify its backlog.